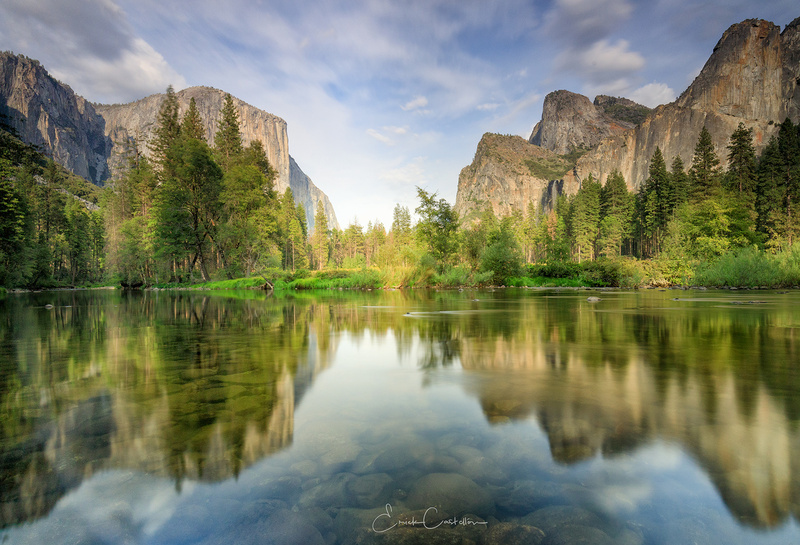 This view from Yosemite never gets old, this was a long expo to get some nice reflection in the water. Great shot! I just find that the signature isn't needed, or maybe off to the right. It's just that that I want to see that interesting nest of stones in the foreground. Still a wicked shot! 41/2 if I could do 1/2's! Really, re-submit without the signature.